I took this photo of a hornbill kissing itself on a Lumix pocket camera in the Kruger Game Park in South Africa. I heard a knocking noise and saw this attractive bird tapping the windscreen on a parked car and quickly took the shot. It wasn’t until I got home and uploaded it that I realised it was tapping at its reflection! Ambling through life in an uncoordinated fashion. 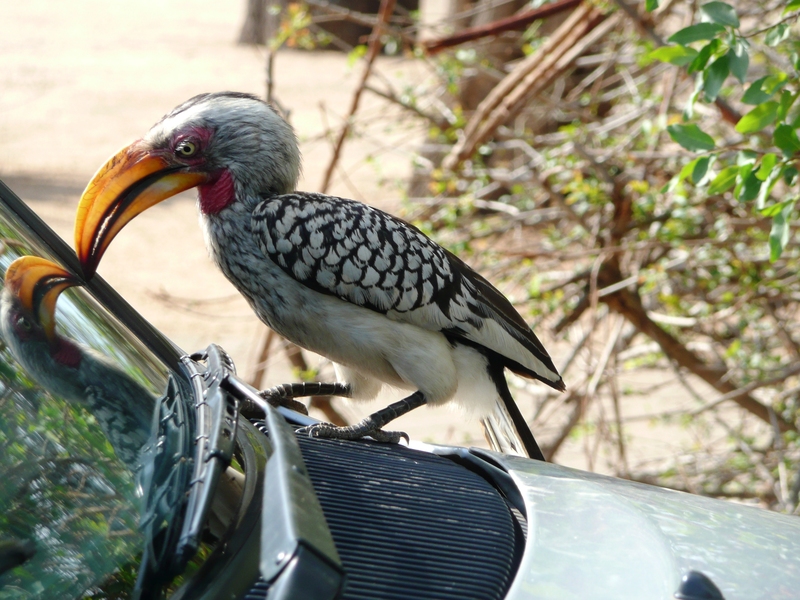 This entry was posted in Home and tagged hornbill, kiss, kruger park, photoblog, photography, postaday, weekly photo challenge. Bookmark the permalink. This made me smile. Great shot! Enter your email address to follow this blog and receive notifications of new posts by email. Your email address will not be used for any other purpose. A Great Institution – Once!